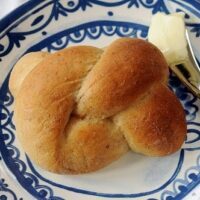 All-Bran Refrigerator Yeast Rolls are delicious high-fiber rolls. Make the dough one day, then refrigerate the dough overnight before rolling out and baking the next day. Directions are written to use a stand mixer for making the dough. Sundays and holidays have at least one thing in common when it comes to food. People expect a little something special on the table. Since there are usually a few other things going on–like church or holiday festivities, advanced planning is key. 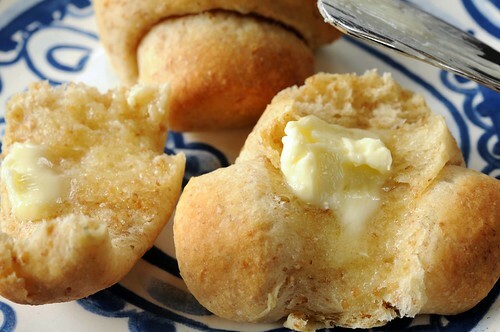 So how can you serve homemade rolls hot out of the oven if you can’t be in the kitchen for the various steps i.e. mixing, kneading, proofing, etc? I have a few tricks up my sleeve. These rolls are one of them. No bread machine today. 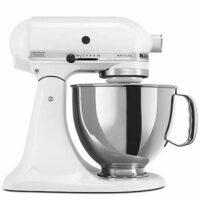 Instead, use a big electric mixer or you could mix by hand if you’ve got Herculean arms like mine. (I wish.) The dough goes immediately into the refrigerator until the next morning. About 2 hours before dinner, roll them into your favorite shape. The rolls rise (proof) while you are out of the house or otherwise occupied. When you get home, throw them in the oven for about 10 minutes. Bran cereal makes these healthy. Sorta. At least it lessens the guilt when you eat too many, which you surely will. I recommend you stick with All-Bran. Although I’m a huge Fiber One fan, I don’t like it in this recipe. The pieces are too large and don’t integrate into the dough properly. I often cut this recipe in half for fewer guests. OR try making cinnamon rolls with half the dough, and regular rolls with the other half. The cinnamon rolls will go first–I bet ya. You can use whatever yeast you have in the house, as long as it’s fresh. Standard procedure is to dissolve regular yeast in small amount of warm water before adding to mixture. Instant or bread machine yeast can be added the same time as the flour without dissolving first. It doesn’t hurt if you want to dissolve it first, like regular yeast, but it’s not necessary. Convenient high-fiber rolls. Make the dough, refrigerate, and bake the next day. Put shortening, sugar, salt and All-Bran cereal in large mixer bowl. Pour hot water over all and allow to cool to lukewarm. Add eggs and remaining water. Thoroughly blend in flour and yeast. Beat for 1-2 minutes. Roll 1/4 of dough into a square on a generously floured surface. Dough should be about 1/2 inch thick. 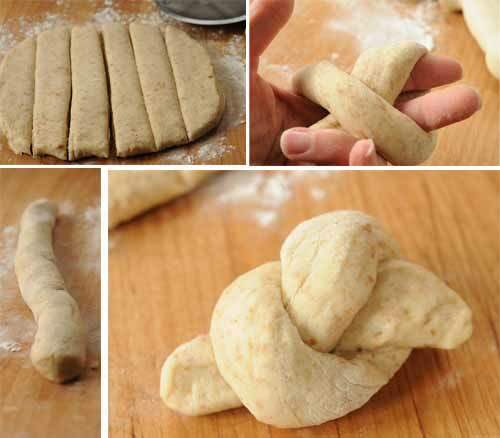 Divide into 6-8 strips depending on the size of rolls you desire. (I prefer bigger rolls--softer and fluffier.) Roll each strip to round the edges and then make a knot. A little practice and you'll be a pro. If you prefer a different shape, this dough is most agreeable because it's cold. Crescents or balls work great. Try big balls for hamburger buns. Love your blog. I too love to eat healthy salads and bake bread. I make the All-Bran Rolls for special occasions too. Have bread machine also but lately have been using Kitchen Aid. Have you ever ground your own wheat. 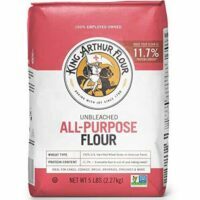 It is so easy and so much healthier than shelf-stable flour that has nutrients removed. Really helps stop diverticulitis flare ups as well as many other health related problems. I have a question. 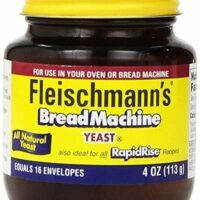 I use Fleischman’s dry rapid-rise yeast in my baking. Unless I’m just not seeing it, when and how do you add the yeast to this recipe?? Do I add it with the eggs and lukewarm water to the ceral mixture? Also, can I use 1/2 whole wheat flour, or even all whole wheat flour? Sorry I didn’t make that very clear in the recipe. Add yeast at the same time as the flour since you are using rapid-rise yeast (me too). Re: the whole wheat, I have never tried it. Starting with 1/2 cup seems like a good idea. Yes, cut the sugar back some if you like. You will probably taste the bran more but that’s probably a good thing. Let me know how it turns out if you try it. I made these, they were good, can they be made with less sugar? That was the only part that I did not care for was all the sugar. Warm bread and lemon curd-can’t beat it. Sounds so easy and delicious when you write these. Hope it works that way!! Nice to have a bread recipe that you do not need the bread machine. And the fiber addition makes me feel not so guilty about loving hot, fresh bread! Mmmm, those look de-lish! I love refrigerator type rolls. Those sound delicious! I am going to be snowed in this weekend (forecast is for up to a foot of snow!) and may try these! I love this bread recipe. It would be wonderful served with a fresh salad. I like the fact that I don’t need a bread machine for this one. (Don’t have one yet). This would be perfect to make on this cold wet weekend. I am also thinking of making your Meatball Ratatouille Soup as well. Lovin the pictures as well. Great job. These look wonderful! I have trouble fitting in yeast breads because of all the rising times, thanks for the shortcuts. You are so talented in the kitchen! Never ceases to amaze me…. I love, LOVE raisin bran – mostly the flakes. Hm… I’ve had all bran in the past, and of course love grape nuts! These looks spectacular – they are definitely the “something special” on the table! What gorgeous rolls. 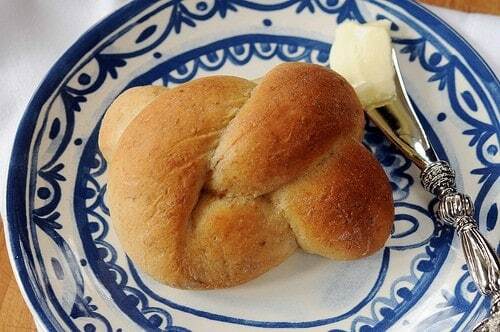 I make yeast bread or rolls every Sunday, therapy I think, these will be a perfect fit for our table. That’s such a beautiful homemade roll. Nothing beats homemade bread. I would love to try that.